Is Justice League Going To Introduce Hawkman And Hawkgirl? Zack Snyder’s Justice League is going to be a big film. It may not be three hours long, as previous reports stated, but you can still expect there to be a ton of world building going on as the blockbuster looks to lay the foundation for the future of the DC Extended Universe, introducing audiences to many new characters and lots of backstory. But aside from the ones we already know about, could there be some additional heroes waiting in the wings, being kept under wraps until the film hits? Ever since that new trailer for Justice League dropped, fans have been pouring over each and every frame, searching furiously for any clues that might tell them a little bit more about some of the surprises Snyder and co. have in store. And while nothing too groundbreaking has come to light just yet, a few eagle-eyed viewers have pointed out something pretty interesting this week that’s worth looking into. 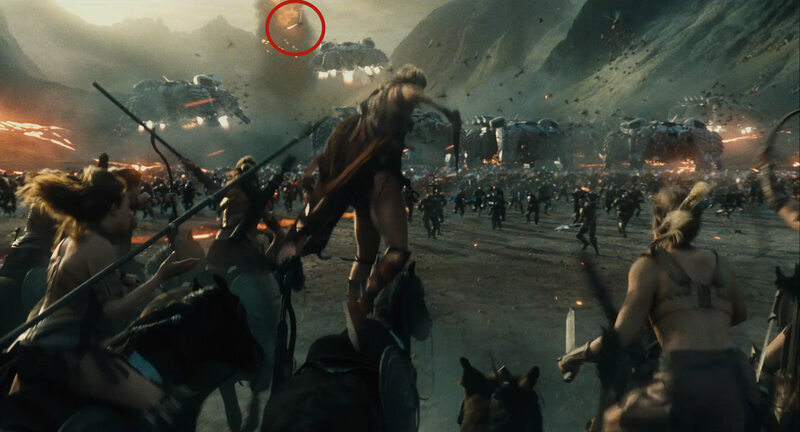 At one point in the trailer, we get to see the epic battle between Darkseid and his Parademons and a united army consisting of the Amazons, Atlanteans and Humans. It’s a moment that we can’t wait to see play out on the big screen as it promises to be a true treat for the senses. More than that, though, it may also introduce us to a new race: the Thanagarians. Seen in the gallery below are a few mysterious winged humanoids flying through the air. 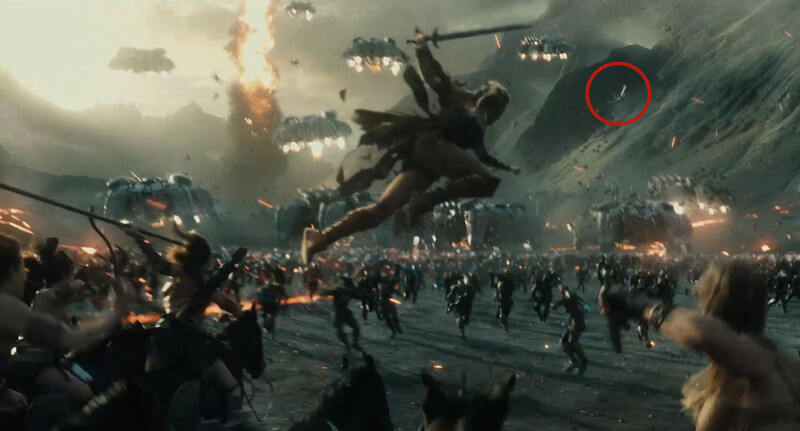 Of course, they could just be Parademons, but the fact that the laser fire seems to be aimed at them, and that their wings look pretty bright and shiny, would suggest that these guys hail from Thanagar, a planet in the DC Universe. After all, it’s already been confirmed that the race is part of the DCEU, so having them show up here would make sense. Furthermore, their appearance in Justice League could be setting the stage for two other League members to be introduced further down the road: Hawkman and Hawkgirl, who hail from the planet. Though there’s been absolutely no mention of either character joining the DCEU at any point, we also hadn’t heard anything about Nightwing and Batgirl before their films were officially announced, so you never know what surprises Warner Bros. is going to pull out next. For now, this is purely speculation, but it is interesting to think about and hopefully, we’ll start to get some more answers about what exactly Zack Snyder’s got planned for us in Justice League sooner rather than later.